Freedom Freefall is an ongoing event to help reduce issues and stressors that lead to depression and Veteran suicides. Our goal is to jump 40 Veterans at this event scheduled for June 21st, 2019. 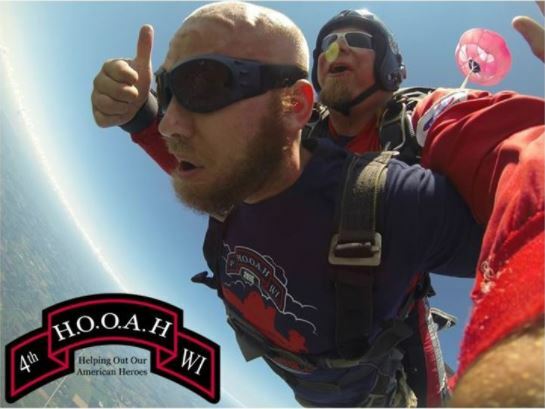 These Veterans will be jumping from Seven Hills Skydivers just north of Madison, WI. The 40 selected Veterans will be notified by May 1st, 2019. If you are interested in sponsoring this event or any of our other events please contact 4th Hooah Inc at 4thHooah@GMAIL.COM.